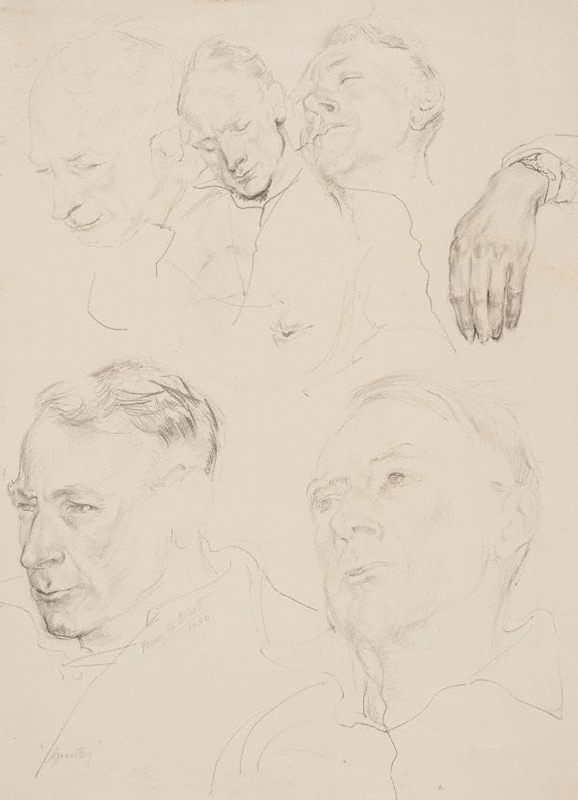 Mary Abbott was born in Quirindi, NSW in 1906 and studied at a number of art schools in Sydney and London, most significantly at the Julian Ashton School from 1938-43. Between 1954 and 1958 she had paintings hung in the Archibald Prize five times, all portraits of women, reflecting her work as a portraitist, with which, along with teaching, she supported herself for much of her career. Her work was the subject of a retrospective exhibition at the Bathurst Regional Art Gallery in 1985. The subject of these studies is the artist's husband. Signed and dated l.l., pencil "Mary M. Abbott/ 1950".